As droughts worsen across the globe, more people who earn their living through farming and owning livestock are forced to leave their homes. Many academics and policymakers predict that the rise in migration may lead to an increase in violent conflict. However, most existing studies on the topic use country-level or regional data that fail to capture how water shortages directly impact the risk of violence within a population. 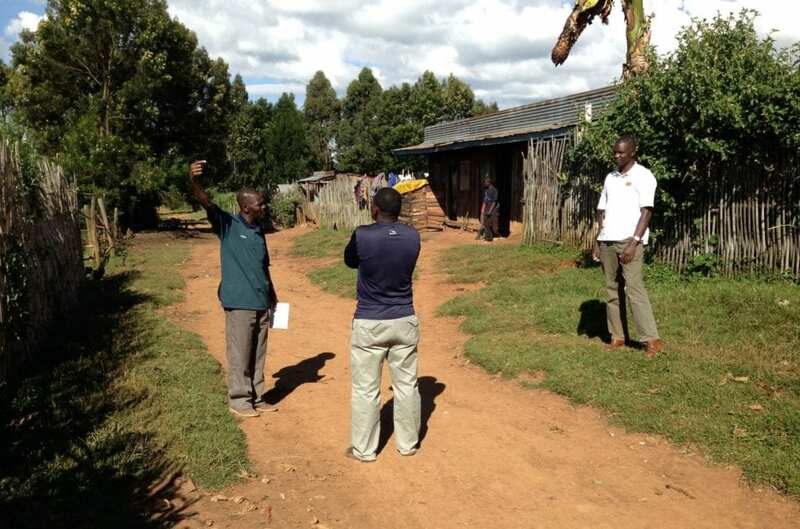 To better understand the issue, a research team spoke directly with Kenyans affected by the changing environment. This study, led by the University of Utah, is the first to use a nationwide survey representing an entire country in sub-Saharan Africa to find some connections between droughts, migration and violence. The team surveyed 1400 respondents in 175 locations across Kenya, asking if they had relocated either permanently or temporarily because of drought, if they had been victims of violence, and, using an indirect questioning method, whether they have latent support for the use of violence. The researchers found that people who have relocated are consistently more likely to experience violence than the general population, yet migrants themselves are no more likely to express support for the use of violence than others. People who migrated temporarily were more likely to support the use of violence only if they themselves had been violently attacked. These problems may be more widespread than previously thought and the findings reported in the article have direct policy implications. "The people who are already experiencing traumatic moves due to drought are very vulnerable," said lead author Andrew Linke, assistant professor of geography at the U. "The treatment of these vulnerable populations is critically important. If they're viewed as hostile outsiders and they are attacked by long-term residents, that can make a bad problem worse. There's a risk that they could in turn hold hostilities based on their experience." More Kenyans were affected by drought and violence than Linke had thought. Approximately 15 percent of respondents reported having to relocate due to drought. Twenty-one percent reported being violently attacked outside of their homes, and a large share of the victims were migrants; 43 percent of people who reported relocating were victims of violence, compared to nearly 12 percent of the general population. "There are a lot of respondents who report these experiences–it's not a fringe one or two percent of the population. We're talking about much larger shares of the population that we don't always understanding in the states, sitting here behind our desks," Linke said. The paper published online in Environmental Research Letters on Sept. 6, 2018. Linke and the team partnered with the Institute of Development Studies (IDS) at the Institute of Nairobi to design the survey. They recruited 1400 adult respondents from a national sample of 175 randomly selected locations, called enumeration areas, across Kenya in June and July of 2014. The researchers established enumerations areas from maps provided by IDS, which the Kenya National Bureau of Statistics used to conduct the most recent 2009 census. The researchers trained 30 surveyors from the University of Nairobi, who collected data in teams of four. A team leader first contacted local officials in each enumeration area to present the necessary permits and to build trust with local officials. Each team member then drew respondents randomly from every fifth and 10th house as they walked north, south, east and west from starting points used by the earlier census. The survey enumerators posed a series of questions designed to measured two things: Are people who report relocating due to drought more likely to be victims of violence than those who do not? And are people who report relocating due to drought more likely to support the use of violence? In answering these questions, the authors analyzed many individual-level demographic and contextual variables to control for biased answers and to rule out non-drought related explanations for violence exposure and support. Additionally, they measured variables to characterize the enumeration areas: two environmental variables–changes in rainfall averages and vegetation health patterns–and the regions' history of conflict. Inquiring about violence victimization is relatively straightforward. It was trickier to measure a person's support for violence. Most people will deny that they support violence due to social desirability bias, which describes when perceived social norms influence a survey respondent's answer. To get around this, the researchers used a method developed to study militant groups in Pakistan and Afghanistan, called endorsement experiments. Endorsement experiments measure a person's level of support for a benign or somewhat innocuous policy, such as a county's financial budget or primary school administration. A version of the question that differs only slightly is randomized within the sample population. This small variation in the randomly assigned "treatment" survey question–where an organization known to take part in violent activities also supports the policy–allows researchers to measure the degree of approval for the perpetrator of violence without asking directly about violence. Linke and collaborators at several universities are currently conducting the same survey, four years after the original. They are collecting data from the same 175 enumeration areas to compare how the issues have changed over time. Linke believes that the findings could influence policy. "Any agency or the Kenyan government would say, 'Of course we need to take care of people who are moving because of drought, but who's going to pay for it?' That's a fair response. The bigger issue is understanding how broad of a problem it is and where the problem exists," said Linke. "I think the problem could be bigger than people think, and understanding the problem is always the first step in finding a solution." Collaborators of the study include F.D.W. Witmer of the University of Alaska Anchorage, and J. O'Loughlin, J.T. McCabe, and J. Tir of the University of Colorado. The research was supported by the Interdisciplinary Behavioral and Social Science Initiative in the U.S. National Science Foundation, and writing and analysis was also funded by the European Research Council and Research Council of Norway, where Linke collaborates with faculty at the Peace Research Institute Oslo.